A military wife's guide to savings in the civilian life. Some of the best deals in December come on the week following Christmas Day. The post-holiday sales are designed to get the extra inventory of holiday toys, gift ideas, and baking goods out of retail stores. 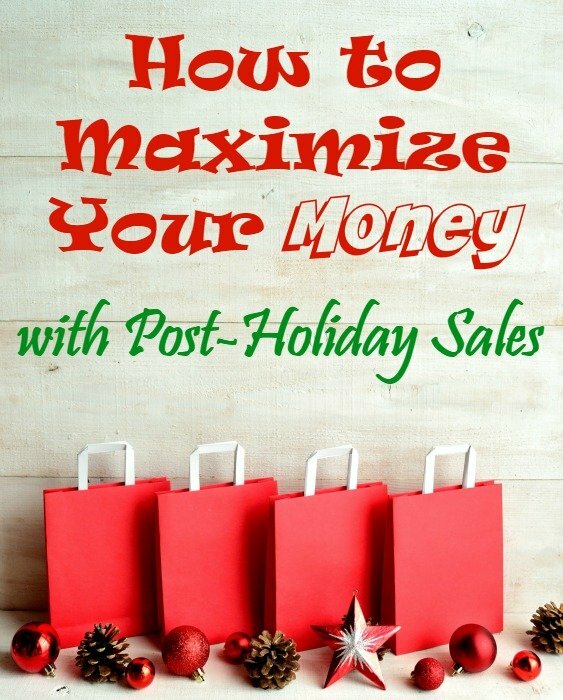 Read on to find out how you can get the most for your buck when shopping after the holiday! Just because things will be marked down doesn't mean you should go crazy with your post-holiday spending. If you can't afford it, it's not a good deal! Take cash only to the stores after Christmas to avoid overspending. Think about what you really need. If you still have 14 rolls of Christmas wrapping paper in your closet, you don't need to get more even if they are just $0.50 each. Stock up on what you do need – tape, scissors, bows, and boxes will all be discounted. Also, take stock of your gift closet and refill it post-Christmas for the best deals. Be aware of pricing strategies. Know what products cost before the holidays roll around. Sometimes, stores will mark up items so they can clearance them after Christmas. With this tactic, you may not be paying any less than you normally would. Strategic thinking will help you discover the best deals when you are out shopping on December 26. Buy clothing for the next holiday season. If you are buying holiday related clothing for your children (think heavily discounted sweaters and pajamas), get 1-2 sizes bigger than what they current wear. Buying these now will save you a great deal versus getting them the next holiday season when they will be full price again. Did you receive cash or gift cards for the holidays? To maximize your spending, use these methods of payment the week following Christmas, when the best deals are in stores. Check out beauty items, massage products, tools – things that stores stock in high numbers for the Christmas season. If you are buying ahead, you need a place to store all of your future gifts. Plastic tote boxes are sufficient, and keep you from misplacing items – which may cause you to have to purchase them again the next year, at a higher price. Purchase everyday items at a discount. The holiday season comes with practical items that you use all year round. For example, Christmas themed tissue boxes or rolls of paper towel. Stock up when these basics go on sale – you can use snowflake paper towels in March, since you'll likely buy them for half off! I am a Wife, mom to 4 kids, homeschool mom, blogger, social media junkie, Frugalista, Book Worm, and Closet Want-to-be Chef. We are a Roadschool family (homeschooling on the road while traveling fulltime). I grew up learning ways to save from my mom and grandma. I started my own coupon journey when my first child was born in 2009 and started the blog on 2010 when baby #2 was born to share my tips with everyone who kept asking about how I was getting diapers for $1 a pack!